I read this article and found it very interesting, thought it might be something for you. The article is called Campaign statement offers a plan to address the housing crisis and is located at https://votesocialism.com/campaign-statement-offers-a-plan-to-address-the-housing-crisis/. 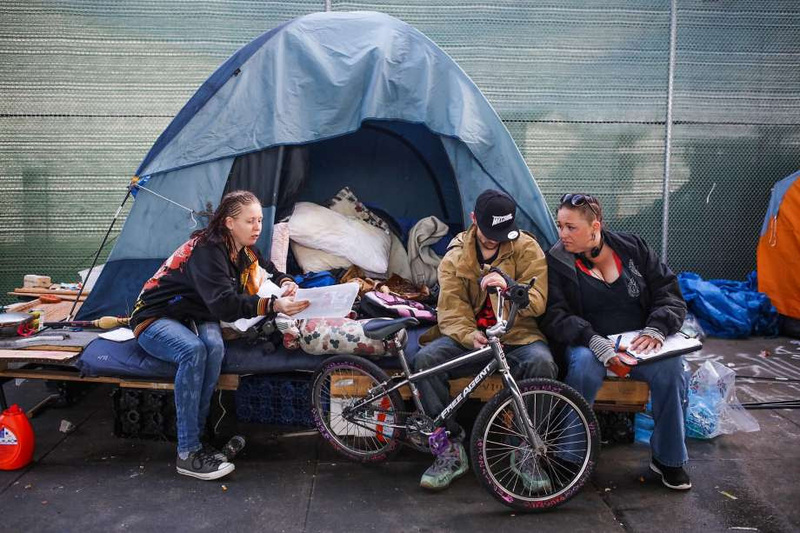 Astronomical rent increases and urban homeless encampments under seemingly every freeway overpass are the signs of a severe lack of affordable housing across the country. Nationally, half of tenants pay unaffordable rents. Clearly, it is long past time to do something dramatic to solve the crisis! No doubt the politicians in Congress will look for the market to do its magic, which consists of real estate speculation and corporate profiteering. Instead, it is the time to embark on a massive national program to increase the public housing stock. Done on a large enough scale, this would pull down market-rate rents as well. In addition, the government must ramp up Section 8 rent subsidies and prohibit landlords from discriminating against those who use them. It’s not as though the money can’t be found. Republicans and Democrats alike just enthusiastically voted for a huge increase in the Pentagon budget, even though the U.S. spends more on its military than the next eight countries combined. Apparently, my opponent Senator Maria Cantwell and her cohorts prefer blowing up working people’s homes in other countries to building enough affordable housing at home. And Congress should repeal last year’s obscene tax giveaway to the rich and corporations and increase their taxes instead. It is also time to stop vilifying public housing. Maintenance was never funded for large housing complexes like Cabrini Green in Chicago. Then came the hyperbole by the media and politicians portraying the projects as violent hell-holes, and the stage was set in the mid 1990’s for Bill Clinton to launch a nationwide public housing demolition craze. The public-private partnerships that were to follow, and predominate today, never provided enough units for low-income tenants. In fact, poor and low-wage workers built supportive communities in many of those projects. The federal government must immediately fund a large quantity of well-designed and adequately maintained public housing. And it must respect the working people who live there. Other measures to mitigate the housing emergency include: a national moratorium on foreclosures and evictions; rent control without a slew of loopholes; federal laws prohibiting all housing discrimination, including against formerly incarcerated folks and immigrants without legal status; just cause eviction protections; and stiff regulation of real estate developers. Steve Hoffman is the Freedom Socialist Party candidate for US Senate. He is also the Recording Secretary for the Washington Federation of State Employees Local 304 and a delegate to the M. L. King County Labor Council.